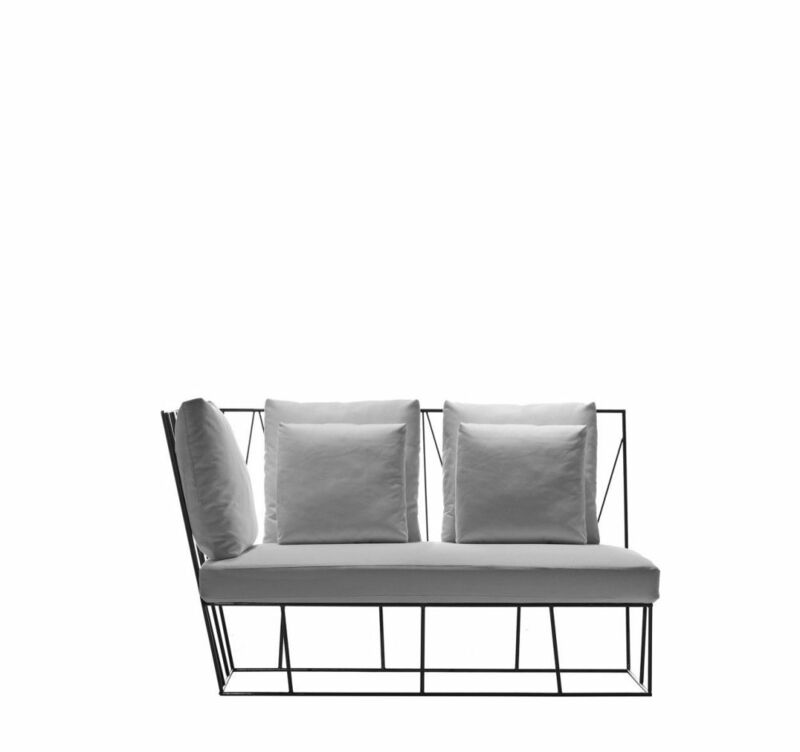 It is part of the driade outdoor collection and offers different solutions for outdoors relax; it includes a two-seater sofa, a single element and two-seater left hand or right hand terminal, a coffee table / ottoman and a corner ottoman, hervé features a slim metal structure that is interlaced in the backrest thus creating a pleasant decoration that reminds of vegetable shapes. Seats can be customised with backrest cushions and paddings with a removable cover and come in fabrics of different colours. They can be supplied with an outdoor cover to achieve a fresh elegance and a new idea of comfort en plein air.